As many of you know, the Fox family moved from California to North Carolina when I quit my job and Foxy Lady got a great job with VF Corporation. Part of moving is getting a new house, and part of getting a new house is fixing it up and updating it so it’s just the way you like it. So often people look at home improvements as an “investment”. And most of the time they misuse that word. To me an investment is something where you pay money now with the expectation of getting that money back in the future plus a return on top of it. Most home improvements aren’t investments at all; they are just expenses. For example, painting the rooms in your house isn’t an investment. You’ll never get that money back. It’s not to say that you shouldn’t do it. Maybe you’ll really the new look of the room and that will make it worth it. But don’t say it’s an investment. In fact, it’s pretty well accepted that almost every home improvement you do will give you a negative return. Of course, that doesn’t mean you shouldn’t do it. It’s just you should do it because you’ll enjoy your new kitchen or your three-season porch or your hot tub, not because you think that $10,000 you paid will increase the value of your house by $11,000. 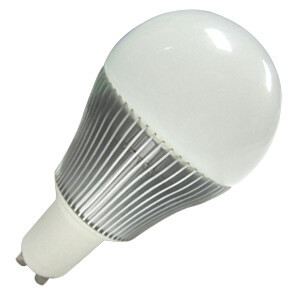 In the past few years there has been a real revolution in light bulb technology as traditional incandescent bulbs have given way to newer, more energy efficient technology. In our new house we had a lot (probably 60 or more) light bulbs in the house, all of which were the older, incandescent kind. Would it be a good investment to change all those out for LED bulbs? To do the calculation, you have to estimate how expensive electricity is (in North Carolina it is about $0.12 per kWh) and how much you use that bulb each day. For a bulb you’re using a lot, that might be 4 hours a day or more. Then you have to compare the cost of an LED bulb to a regular bulb. In the past couple years prices for LED bulbs have come down precipitously (deflation); just a quick search on amazon.com shows that you can get an LED bulb for about $4 (with an expected life of about 18 years) and an incandescent bulb for about $1 (with an expected life of about 2 years). Of course, the reason you would do that is beyond LED bulbs lasting a lot longer, they also use about 85% less electricity. So it becomes a pretty simple calculation of does the longer life and electricity savings make the higher price of the bulb worth it? This is a big, fat YES. The calculations show that the investment return on an LED bulb is about 120%!!!! So you’ll get that extra $3 you spent on the more expensive bulbs and then some, every year for the 18 year life of the bulb. Friends, it doesn’t get better than this. We live in a world where the stock market gives us 6-8% on average but with a ton of volatility. This is a sure thing—basically a bond where you’re guaranteed to make money on your investment. 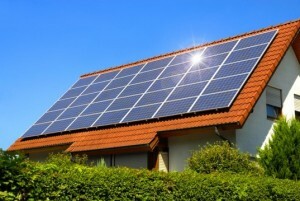 Back in California it seemed like everyone had solar panels. Out in North Carolina, they are much rarer. We have decided to become trend setters and install the panels on our roof. Unlike the LED lights, where you could probably dig in your sofa cushions to find enough to pay for a light bulb, solar panels represent a huge up-front cost. We’re looking into a 20-panel system that would generate about 4000 watts of electricity. The all in cost would be about $18,000, but after you take into account tax credits, the cost ends up being about $14,000. That’s a lot of money for sure, but you do get something pretty sweet, namely a lot of cost-free, pollution-free electricity. When you look at our location, the pitch of our roof, the direction our roof faces, and all those other factors, those 20 panels would generate about 800 kWh per month. That would be subtracted from the ~1200 or so kWh we use per month, and at about $0.12 per kWh, those panels would save use about $100 per month. If you do the calculations, that ends up being a 5% return which isn’t great considering the risks of the panels breaking or the energy company changing the regulations to not be so generous or something else that I can’t even think of right now. On the other hand, if you assume that the cost of electricity increases 5% per year, the return jumps to about 10% which is pretty decent. And depending on your personal views regarding the environment, the return on your money may not be as important as reducing the need for about 10,000 kWh per year of coal-generated electricity (that’s about 7 tons of CO2 per year). We’re still thinking about doing this or not, but I think we will. But for this, the motivating factor is not the investment return (which is a “neutral” for me) but the environmental impact. Foxy Lady and I got each other an iRobot vacuum for Christmas. It cost about $400. It’s a pretty cool little device but certainly not the Rosie the Robot that they might have you think. We have found that it does a decent job in smaller areas, but you can’t really let it go and “clean the entire house”. That said, we have two little cubs who create a concentrated mess in our kitchen/dining nook/living room area. Seriously, Foxy Lady and I try to keep up and we’ve made the depressing comment on more than one occasion: “Didn’t you just vacuum in here?” The area just seems perpetually dirty, particularly below where the cubs eat. So we set the robot to do its thing every other day. It does a decent job, certainly not as good as if a person was doing it, but that’s the beauty of it—it’s cleaning while you’re off doing something else. So I’ll give it a solid B. But how is it as an investment? Not very good. We have a cleaning person come in every two to four weeks to clean our house. 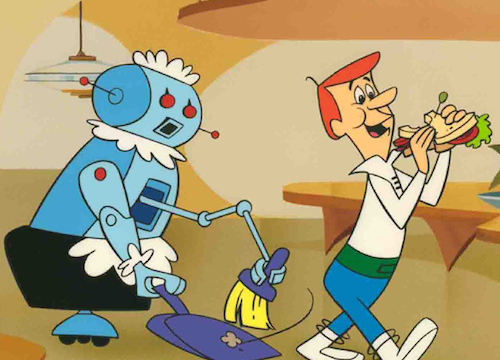 We pay that person $80, so if the vacuum robot saved us a trip or two, it might lead to a decent return. 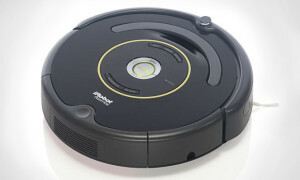 But the truth is that the vacuum robot only does the floors, and really only that limited area. We still need the cleaning person to actually mop the floors in the kitchen/dining nook/family room as well as vacuum and mop the rest of the house. Plus there are all the other house cleaning activities (bathrooms, windows, counters, etc.). So we use the cleaning person just as often with or without the vacuum robot, making the return 0%. Life is definitely nicer when the floors aren’t totally gross, but that makes it a good purchase, not a good investment. This blog is already starting to get long so I’ll stop here. But I could also do this on our learning thermostat (low return), tankless hot water heater (low return), new television (surprisingly high return). Please let me know if there are any other home improvements that you are thinking about and wondering what the return is. In the meantime, replace all your incandescent lights with LED lights, and it will be the best investment you can make.